-is your business keeping up? The world of marketing and advertising has undergone dramatic changes in recent years thanks in large part to the internet and the huge impact it has on our daily lives. No longer do people use newspapers, the phone book or other traditional methods for finding services or products they need, as today the internet is most definitely king. What this means for your business is that you really need to start considering this advertising medium before all others if you really hope to get a great return on your investment. Still, even if you’re already aware of the huge benefits of advertising online, the first thing you need to decide is which internet marketing agency is best for your specific needs. 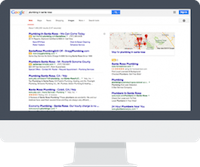 In the surroundings of the Bay Area your choice for an internet marketing agency can come down to more companies than you can imagine. Still, to help simplify your decision, here is a list of things you should be looking for in any internet marketing agency. Although it should be obvious, one of the most important factors in achieving success with your digital marketing agency is to find a company that is willing to be upfront, open and honest with you. This means finding an agency that will provide regular analyses so that you can see exactly how your marketing dollars are being spent and what sort of return you’re getting for this money. At uluad, we deliver full monthly analytical reports to our clients which allow you to do exactly that. While a brand new company may be able to generate the results your business needs, you really don’t want to risk wasting your money and time on a company with no history or that can’t show you proven results. Another major factor in finding an internet marketing agency that can successfully advertise your business is to look for someone who will take the time to create a customized approach to your organization, instead of an agency that just offers one overall strategy. Each business is unique, so it’s important that you look for an agency like uluad that understands where you’re coming from and how best to connect you with your potential customer base.